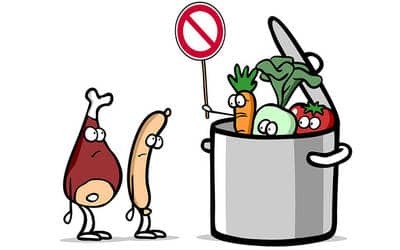 “Busting the vegan myth”is a guest post by Michael Joseph who is a passionate nutrition educator with a master’s degree in Nutrition Education. He is the founder of Nutrition Advance where he frequently writes nutrition and health-related articles. He believes that nutrition advice has become overly complicated and that we need to get back to the basics and value our traditional food. Photo credits go to Nutrition Advance. Scroll to the bottom to get your FREE 7 day vegan low-carb meal plan AND see the full infographic. Depending on who you ask, thoughts on vegan diets wildly differ. Some believe they are the best in the world for optimal health, but others assert they lead to nutrient deficiencies and certain illness. As with most things in nutrition, the truth lays somewhere between these two extremes. Firstly, in my personal opinion, vegan diets are not optimal for humans. However, that doesn’t mean veganism can’t be healthy – and it’s certainly possible for some vegans to be healthier than some meat eaters. It all depends on the formulation of the diet. Regardless, this article is not about how to formulate diets; it’s about how we shouldn’t attack other dietary systems based on our personal preference. In this post, we’ll take a look at some of the biggest myths – both positive and negative – surrounding vegan and meat-based diets. Animal welfare is a huge issue right now and rightly so, and everybody – whether vegan or not – should care about this. Whether we are a meat eater or not, there is no excuse for treating animals in a cruel and inhumane way. There are a couple of animal rights groups such as People for the Ethical Treatment of Animals (PETA) and the Physicians Committee for Responsible Medicine (PCRM). Despite the name of the latter, both of these organizations are animal rights campaigners. I’m sure they both do lots of positive work in this regard. However, they also spend significant sums promoting the vegan diet. There’s nothing wrong with supporting something you believe in, but the problem here is the methods of this promotion. Namely, publicly spreading the unscientific message that meat and animal foods like eggs cause disease. There is no solid evidence that meat or eggs cause disease. Despite previous fears over eggs and their cholesterol content, even the dietary guidelines now admit that “cholesterol is not a nutrient of concern for overconsumption” (1). In other words, eat all the eggs you like – they are one of the most nutrient-dense foods on earth. Regarding meat? 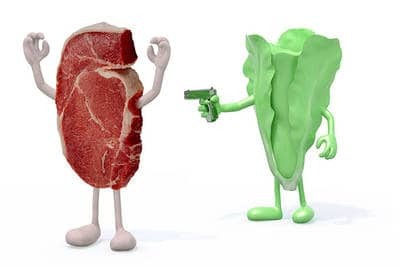 Sure, there are various studies out there – based on epidemiology – that suggest red meat is associated with increased risk of disease, particularly cardiovascular disease (2, 3). However, there is not a single randomized, controlled trial that shows meat causes disease. Nor do any of the statistical studies on red meat control for junk food or sugar consumption – and this is important. We’ve been told for years to avoid red meat for our health, so health-conscious people likely follow this advice. In other words, those who eat red meat are more likely to partake in unhealthy lifestyle factors like excessive drinking, smoking, and finding a second home in McDonald’s. Just what kind of red meat do most people eat? It sure isn’t grass-fed steak with a side of fresh veggies. Several randomized controlled trials investigate how red meat affects cardiovascular risk factors. If meat is so dangerous, then we can surely expect negative results from these trials. Conversely, these studies show that meat has, well… not very much impact at all on our lipid profile. In fact, a meta-analysis of twenty-four randomized, controlled trials showed that red meat intake had no effect on cardiovascular risk factors. Further, the ratio of total cholesterol to HDL, triglycerides, and blood pressure all decreased over time (4). Low carb diets can successfully reverse diabetes, and they often result in effortless weight loss and significant improvements in health markers (5, 6). As a result, higher carb diets must cause death and disease. The answer to that is “probably” – if you’re eating a bunch of processed sugars, flours and sodas every day! However, not all carbohydrate is inherently harmful to insulin sensitive people. With a well-formulated diet, higher carb and lower fat can work. Maybe it’s not optimal, but many societies have enjoyed good health on a higher carb diet. It is the combination of high fat and high carb which causes most of the metabolic damage we see today. One such example is the traditional Okinawans, one of the most long-lived people on record. The Okinawan diet mainly consisted of purple sweet potatoes. 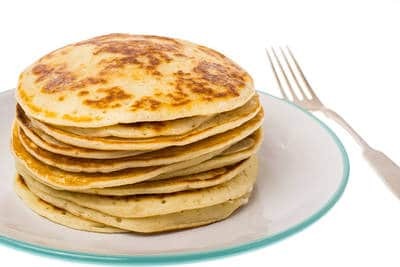 Sure, they did eat some fat, but their diet can’t really be called anything other than high carb. What they did not eat is the industrial foods that are so widespread today. Another key point is that vegan diets do not have to be high in carbohydrates. Many people associate ‘low carb’ with animal foods, but there are plenty of plant foods which are low in carbohydrate and high in fat. Combine these with a few vegan protein sources, and you have a low-carb vegan diet. Some vegans claim that as well as being more ethical and healthier than meat, vegetables are also higher in protein. Brocolli is a typical example, and the amount of protein per calorie is the basis for the claim. This claim is almost true, but not quite. 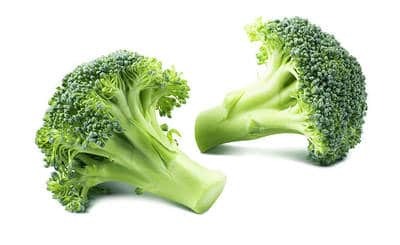 In fact, broccoli contains about 2.8g of protein per 100g whereas beef hovers around 22-28g depending on the cut (7, 8). When we work calories into the equation, beef contains slightly more protein per calorie than broccoli. To get anywhere near as much protein as one steak, you would need to eat more than 1kg of broccoli! 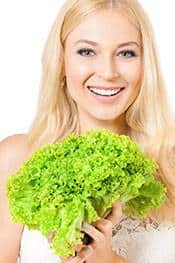 With this in mind, most plant foods – broccoli included – contain anti-nutrients such as goitrogens, phytates, and oxalates (9, 10). Notably, consuming large amounts of these anti-nutrients can reduce the absorption of essential minerals in food (11). While I think many people overplay the “dangers” of these anti-nutrients, eating 1kg of the same veggie isn’t the wisest idea. People claim that vegans are healthier than meat eaters and enjoy greater longevity. Some of the biggest and most quoted references for this come from analysing the Nurse’s Health Study. This study followed the health outcomes of 131,342 participants between 1980 and 2012. A large-scale review of the Nurse’s Health Study concludes that meat consumption increases cardiovascular mortality (12). As a result, the claim is that we can all improve our health by cutting meat out of our diet. Does Restricting Meat Improve Health? Whether you agree with veganism or not, most vegans are very health conscious. Typically vegans are more likely to eat a diet based on whole foods, exercise, and get sufficient sleep. Meat eaters are more likely to have an unhealthy lifestyle. And the analysis of the Nurse’s Health Study even proves this. Notably, this becomes apparent if we ignore the headlines when we look at the analysis of the Nurse’s Health Study. 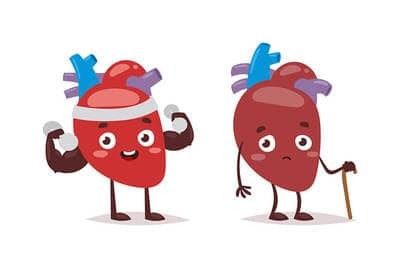 The conclusion of the study: “High animal protein intake was positively associated with cardiovascular mortality” (12). A more appropriate conclusion: There were associations between animal protein intake in people living an unhealthy lifestyle and cardiovascular mortality. However, in individuals with a healthy lifestyle, there was no difference between vegans and meat eaters. Dr. Dean Ornish, a famous vegan proponent, is referred to as “the first clinician to halt or reverse heart disease.” This claim comes from a randomized, controlled trial from 1990. Over a 1-year period, more than 82% of (28) patients experienced regression from coronary atherosclerosis (13). Their diet? A low-fat vegetarian diet. Although I don’t deny the diet potentially had a positive effect, this small-scale study was more a total lifestyle intervention than a “diet study.” For instance, the trial featured multiple interventions such as stopping smoking, stress management sessions, and an exercise program. It’s difficult to know precisely what helped the patients improve their symptoms; was it the stress-management? Or possibly the exercise? Would the diet alone have been successful? The answer is possibly a “yes” to all of these, but we just don’t know. Nearly 30 years later, there has been no large controlled study which confirms that vegan diets reverse cardiovascular disease. Even if a vegan diet can help in treating heart disease, that doesn’t mean only vegan diets are effective. For instance, multiple studies on low-carb diets show that they improve cardiovascular risk factors compared to low-fat diets (14, 15, 16). The triglyceride to HDL ratio is probably the most significant cardiovascular risk marker. As shown in the above studies, low-carb diets improve HDL levels and lower triglycerides. 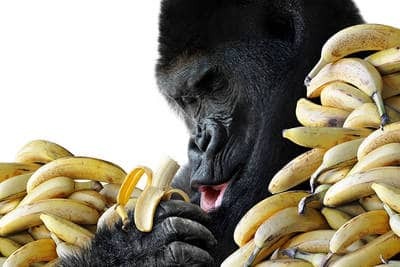 Vegan proponents often note that wild gorillas and other primates such as chimpanzees don’t develop atherosclerosis. Their diet is also vegan, so they must be healthier because they don’t eat meat. Firstly, many primates are opportunistic hunters. Yes, they mainly eat vegetation, but they will eat pretty much anything given a chance. Secondly, the idea that wild monkeys and gorillas don’t develop heart disease because of meat? Well, that falls apart when we consider those raised in captivity. Despite being virtually non-existent in the wild, atherosclerotic heart disease is the single biggest killer in captive chimpanzees – and they certainly aren’t eating meat (17, 18). What they are eating is a diet full of refined carbohydrates including nutritionally designed biscuits and bars, along with high-sugar fruits. But still, the diet is vegan, low-fat and low in cholesterol. In other words, their health rapidly declines when they start eating industrially processed foods. But what happens when they start eating a whole-foods vegan diet in captivity? Conclusion: a (predominantly) plant-based diet in wild apes causes no problem. On the other hand, an ultra-processed plant-based diet in captivity causes big issues. Refined food is the problem, not meat. 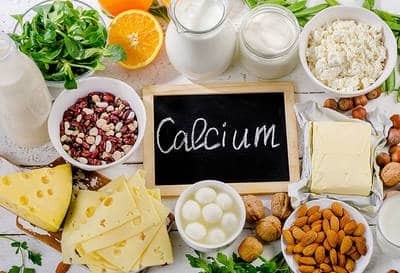 Various anti-vegan propaganda claims that vegan diets are unhealthy because they result in calcium deficiency due to a lack of dairy. Personally, I love dairy – especially aged cheeses such as mature cheddar and camembert. It is also true that dairy foods are the best source of calcium in the human diet. 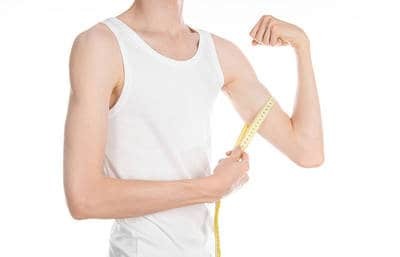 Some people claim that vegan diets make people look skinny, weak and frail. Like with all dietary systems, it is the formulation of the diet that matters. Some vegans eat a nutrient-poor diet, but others probably eat a lot healthier than 90% of the population. For example, a ketogenic diet can be extremely healthy if it emphasises nutrient-dense whole foods. On the other hand, if it mainly consists of fats like butter and coconut oil then the nutritional value will be low. The same applies to vegan diets; a bunch of fake meat substitutes, flours, and vegetable oils? Not so good. But a diet based on fermented soy, nuts, beans, seeds, berries, and greens would be much healthier. Overall, almost any dietary preference can be healthy or unhealthy depending on how we formulate it. To sum up, we need to remember that people have their own reasons for adopting a diet. Many vegans choose their lifestyle for ethical reasons rather than health – and we should respect that. Likewise, people eat animal foods for the health of their family – we should respect that too. Despite being a meat eater, I love animals and hate the thought of killing a living thing for food, so I definitely understand the ethical argument for veganism. But nutrition and health is a vastly different subject to animal welfare. Currently, there are so many improvements the meat and egg industry can implement to improve animal welfare. Many vegans are doing an excellent job in highlighting these issues – and they really do need highlighting. However, most of the misleading attacks on meat, fish, and eggs are nothing more than deception and myth. Click here to go to the next page for your FREE 7 day vegan meal plan and full infographic – Busting the vegan myth.